We've spent the past month celebrating the creative, emotional and effective brilliance of TV over the past 60 years but what does the future hold? 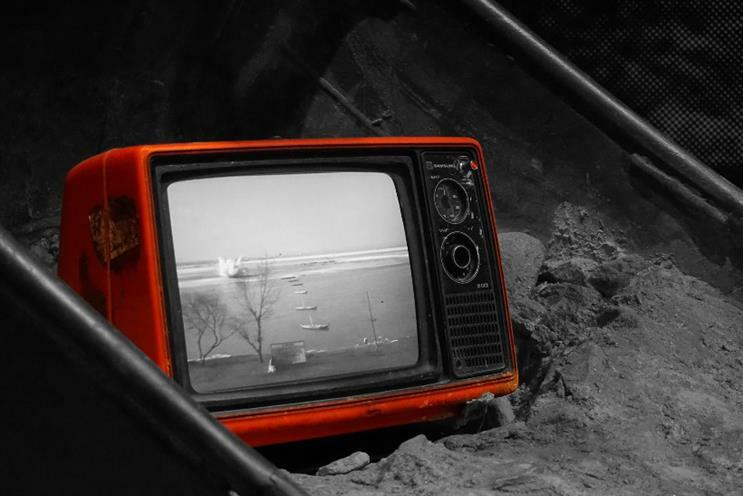 We asked Nestle, TUI, Google and TubeMogul what they thought was in store for TV advertising in the near future. It’s been 60 years since ITV launched and, therefore, brought TV advertising to our small screens in the UK. At Marketing, we spent the whole of September looking back at the medium and celebrating its merits with the great and good of the industry. But as Google UK director of performance Matt Bush recently put it at a Marketing conference, "the pace of change today is slower than it’s ever going to be". The face of TV advertising is rapidly changing and is only ever going to change faster, so what do advertisers need to do to prepare for the next 60 years of TV ads? Central to the change is the technology used to serve TV ads. The digitisation of delivery means TV ads will be bought in the same way advertisers are used to online. Programmatic TV advertising is largely confined to video on demand services and via Sky’s AdSmart product in the UK, but in other markets, such as the US, it’s rapidly moving towards a large proprtion of the way TV ads are delivered. At the vortex of the change are the tech players such as TubeMogul. Alongside a handful of other tech firms, TubeMogul provides a platform that allows brands and agencies to deliver video ads across all channels, using data and real-time technology to be much more efficient. Founder Brett Wilson says the uptake has even surprised them, smashing the predictions they had fed Wall Street when they launched the ability to buy TV programmatically. "I think we told Wall Street that we thought programmatic TV spend would be 6m, so relatively small, in all of 2015. We did more than that in Q2 of this year and it is still early and in experimentation phase," he says. It isn’t just the likes of Tubemogul that has an interest, unsurprisingly Google is is looking at how this fits into its ad business DoubleClick. Phil Miles, director of media buying solutions at Google UK, tells Marketing, "It’s quite clear that programmatic TV is going to become the next most disruptive force to hit the digital and TV space. According to Magna Global, we’re looking at an industry that will be worth an estimated $10bn in the US by 2019. Programmatic will certainly change the way we buy TV, and the goal for us at DoubleClick is to be able to house all of a brand’s video, display, mobile and TV-buying in one platform and help our clients achieve significantly better engagement and performance." The tech providers are (obviously) convinced, but are the brands? With many brands still having around 60% of spend in TV, it is still the primary branding tool. For Nestle, programmatic is part of a solution to driving the cost of advertising on TV down. Steven Pollack, head of media communications at Nestle UK, says, "The current TV trading model is very much rooted in the 1970’s/1980’s way of trading but audiences have moved on. People are consuming TV on multiple devices and in a non-linear fashion, yet we still buy and sell TV as if nothing has changed. As an industry we are infatuated with average station price and we have to buy broad demographic audiences. But as TV viewership continues to age and TV inflation returns to 1980’s levels, advertisers will look for more efficient ways of spending their budgets. Programmatic could be part of this solution." For TUI head of media Sammy Austin, the future is less clear as a myriad of issues are still in the way of any scale for programmatic TV. "I think that the initial appetite is definitely there and clear benefits have been identified for both buyers and sellers and that’s great, but as with everything new and exciting in this space, the industry has a very long way to go to deliver universality and scale across all markets. We are definitely not there yet but we are heading in the right direction," says Austin. In the UK the future being programmatic may be on the horizon but it’s less likely to happen as fast as the US, where there is a more fragmented commercial TV market. "On the sales side, I can see why there’s a reluctance to adopt a completely new technology trading model. Business is great for broadcasters at the moment, so why change?," said Nestle's Pollack, "None of this means that we would necessarily spend less on TV advertising, which I think might be one of the concerns of the broadcasters. I actually think the opposite would be true". TUI's Austin says while a lot of the control is taken away from advertisers, they can help push the market forward. "How soon in the UK for Programmatic TV is uncertain and largely beyond the control of the Advertiser. There is an element of demand that advertisers can facilitate and this will undoubtedly help push the market forward but there are other parties in the ecosystem, i.e, software partners that have the power to innovate and push this forward," she says, "We can’t ignore how many challenges there are to overcome, some markets are better positioned than the UK to deliver Programmatic TV and I think we need to encourage shared learnings, work together and learn not to run before we can walk." A lot of effort is put into TV creative, it costs a lot more to deliver and the industry has lasted 60 years without a great deal of disruption. Understandably, many parts of the ecosystem is reluctant to change the way it does things without a bit of a fight. Many advertisers are sold on the idea of efficienies in TV ad buying but to truly benefit from this data-led approach, much like online, having dynamic creative will be where the real wins are made. However, this might mean a creative agency (and its production partners) creating hundreds of TV creative variables. It’s not something many agencies are ready for. For many advertisers, the gap between the polar ends of the software business and the production company needs to close. TubeMogul’s Wilson said this gap is fed by existing politics and lack of commercial remuneration for collaboration. "It’s corporate politics right now. What I see is creative being a trusted advisor to the brand. The media agency, not always, are the commodity and execution arm - and some execute far better than others. You have a set of companies where monetising information sharing is not natural to them," he says. It is no doubt that advertisers will want to see more media bought via data-led and automated platforms but there is still a long way to go before spend shifts in the UK. At the very least, there needs to be more commercial incentive for collaboration or the pace of change may even slow down.